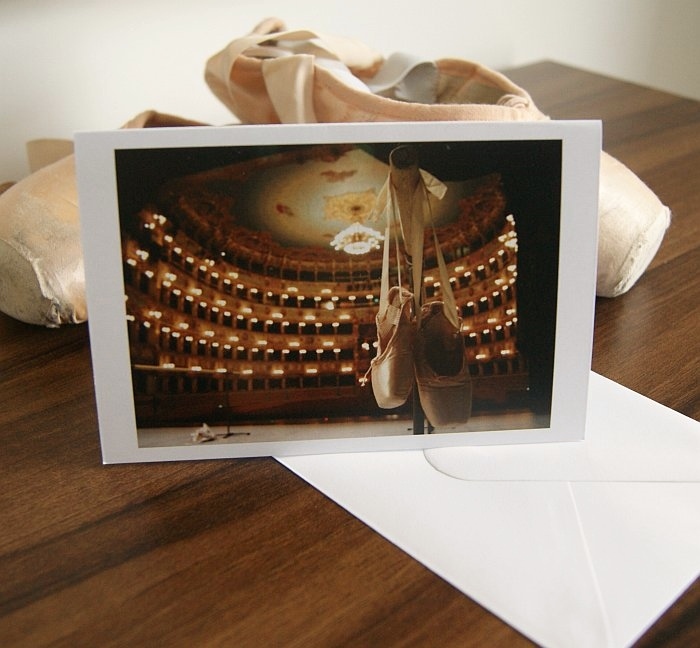 You will always be up to date if you subscribe to Odette's Ballet Dancers Blog. Don't miss out! Feel free to ask me any questions, I always do my best to give you guidance in the most understandable and attainable way. I am especially pleased to have 'visitor generated' pages on this site, so never be shy in coming forward - it helps everyone! Please post your comments message or query for me to personally answer. Remember, what you are thinking may help someone else in a similar position! "ASK! Odette" contact button (left) and ask there. 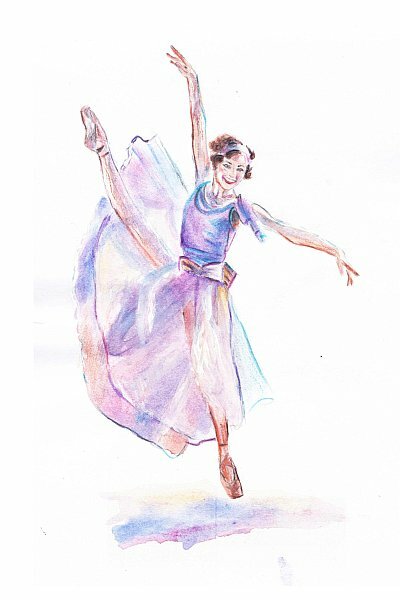 Olivia Holland, artist and ballet dancer, shares her paintings and photographs through the Ballet Dancers Guide shop in greeting cards and prints! 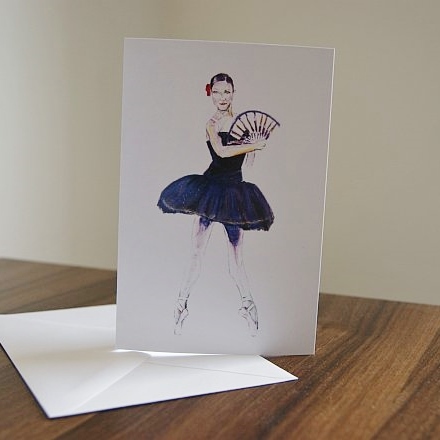 Continue reading "Olivia Holland - Shop - Cards"
Olivia Holland, artist and ballet dancer, shares her paintings and photographs through the Ballet Dancers Guide shop in greeting cards and prints. 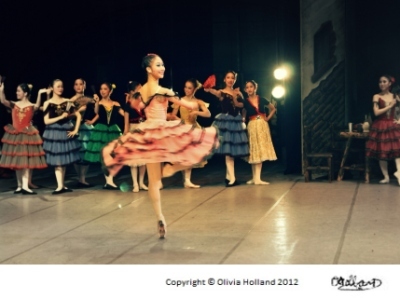 Continue reading "Olivia Holland - Shop - Prints"
Ballet girls are in a world of their own when it comes to the dedicated life a dancer. Here, I discuss with author Cate Holahan about the world of ballet and her new thriller book DARK TURNS. 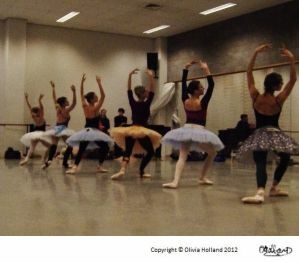 Continue reading "Ballet Girls and Thrillers -DARK TURNS by Cate Holahan"
Career Development Plan - Can You Become A Ballet Dancer? A career development plan could be all you need to pursue your dream profession. Let me guide you through the ways to make your goals a reality. 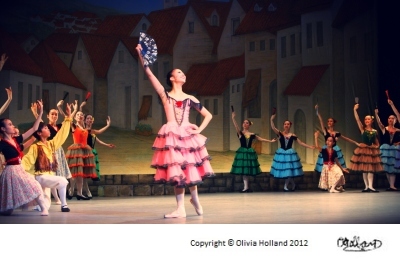 Continue reading "Career Development Plan - Can You Become A Ballet Dancer?" 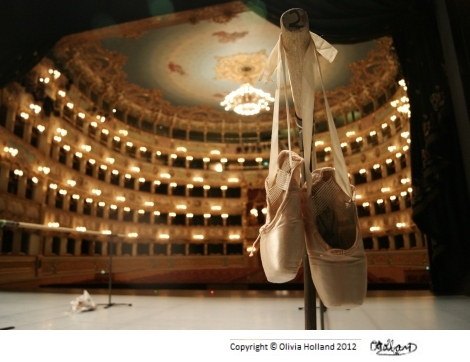 Ballerinas are beautiful and charming, but they are full of strong determinationt too. There is a lot they have to go through to reach where that level, and they need a persistence to never give up. Continue reading "Ballerinas - Rising to the Top"
Pointe dance can feel like a real challenge for all young dancers. It is learning process and you have to overcome your worries to dance beautifully in your pointe shoes. Continue reading "Pointe Dance - How to Survive in Your Pointe Shoes"
Ballet Costumes bring beauty and dazzle to the stage, they are a major part of every ballet performance. 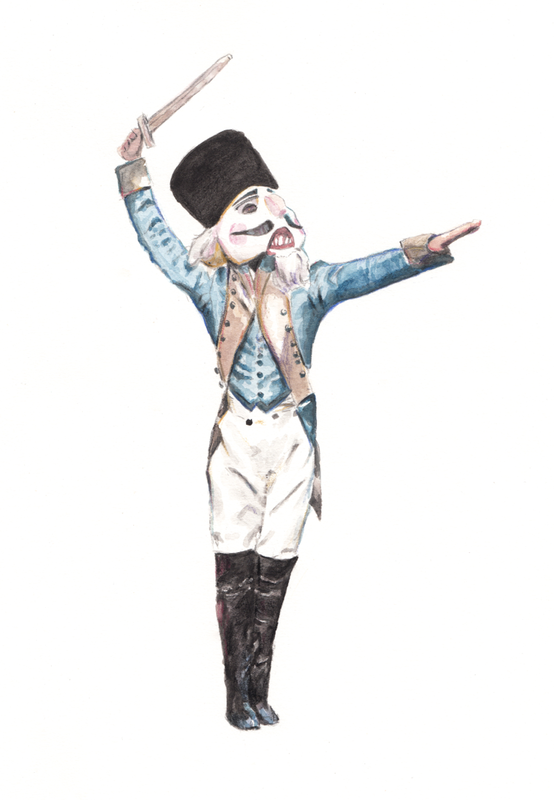 Discover here, the costumes and the wardrobe of ballet dancers. 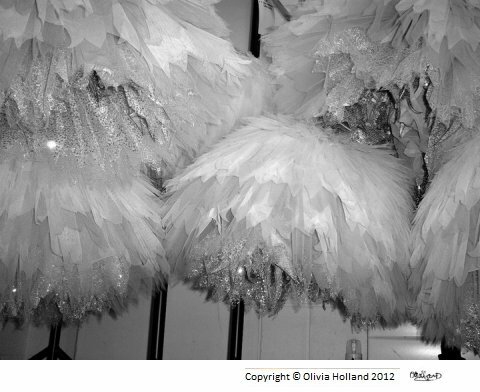 Continue reading "Ballet Costumes - The Wardrobe of a Dancer"
Continue reading "Contact Olivia Holland - Artist and Ballet Dancer - Shop"
Discover about Olivia Holland, who is a who is a professional ballet dancer in the UK and wishes to capture the beautiful moments she sees on stage through her unique artwork. 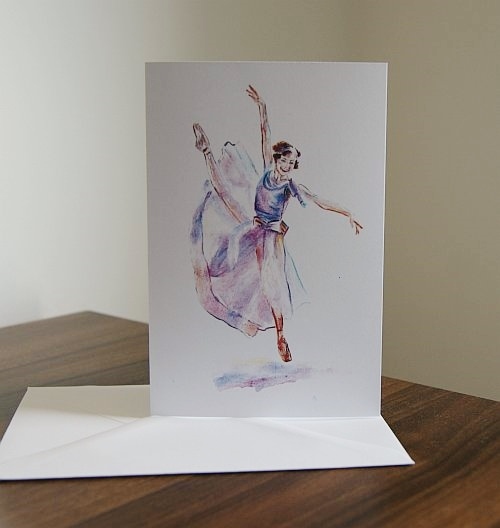 Continue reading "About Olivia Holland - Artist and Ballet Dancer"
My uniquely painted watercolours and photographs are now available to buy as beautiful greeting cards and prints, all created by inspiration of my everyday life as a professional ballet dancer. Continue reading "Olivia Holland - Shop Homepage"
Swan Lake ballet is one of the most loved classical ballets, for both the dancers and the audience. It is full of beauty and passion, as well as story and magic. Continue reading "Swan Lake Ballet - Romance, Drama and Beauty"
American Ballet Theater is one of the world's leading ballet companies. ABT has grown to become a worldwide success and full of passionate, blossoming professionals as well as young aspiring dancers. 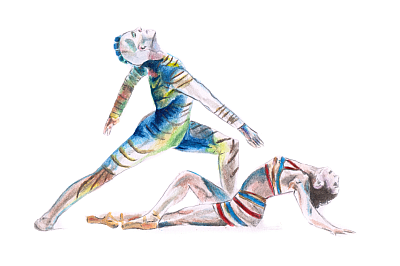 Continue reading "American Ballet Theater - The Ballet Stars"
My uniquely painted watercolours and photographs are all created by inspiration of my everyday life as a professional ballet dancer. 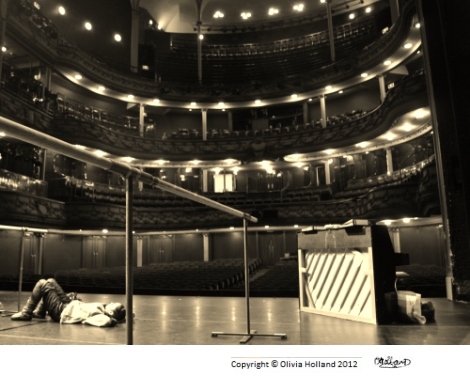 Continue reading "Olivia Holland - Artist and Ballet Dancer - Shop"
Continue reading "Ballet Clipart and Beautiful Ballerina Photos"
When dancing ballet, your technique is not EVERYTHING you must have. What makes a star ballet dancer is their presence, personality and performance. Discover now how you can get that the 'wow' factor! Continue reading "Dancing Ballet - Become a Star Dancer"
Firebird ballet is a story full of magic and love. It tells the story of Prince Ivan's journey to win the heart of his princess but first, he has to get past the evil magician, Kostcheï. Continue reading "Firebird Ballet - The Enchanting Story"
Ballet posters are a fabulous idea to lighten up your room and put on your walls. Let me give you some ideas and inspiration to help you find the perfect poster. 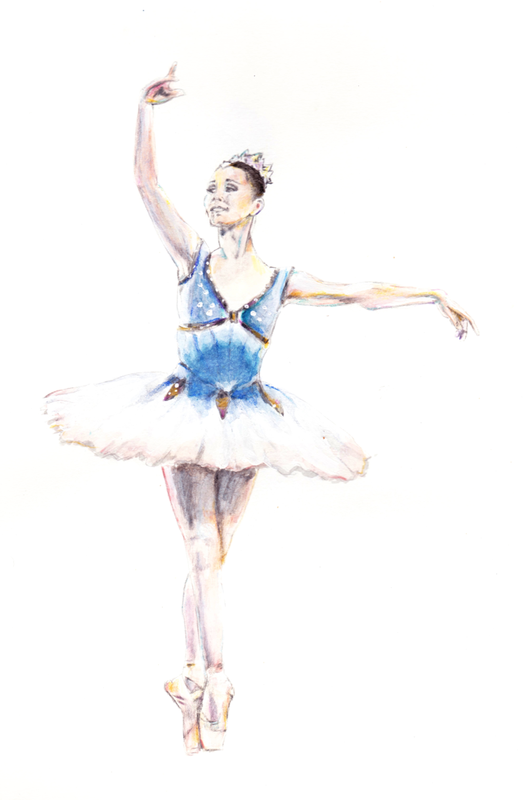 Continue reading "Ballet Posters - Find the Perfect Picture"
Ballerina Clipart by Olivia Holland is inspired by her life as a ballet dancer and elegantly painted using watercolours. Continue reading "Ballerina Clipart - The Story behind the Paintings"
Here you will find beautiful ballerina photos and wonderful paintings. 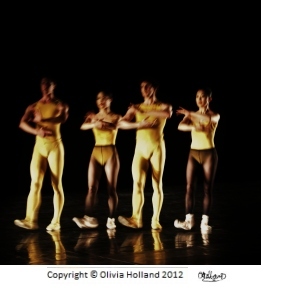 You can also see EXCLUSIVE images by professional ballet dancer Olivia Holland. 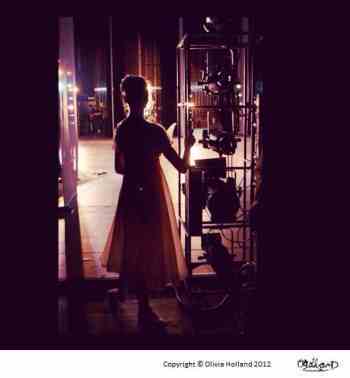 Continue reading "Ballerina Photos - From a Professional Ballet Dancer"
Continue reading "Ballet Pictures - Your Fabulous Dancing Gallery"
Continue reading "Olivia Holland - Artist - Gallery"
Ballet supplies are absolutely necessary for every single dancer. Without leotards, shoes, tights and accessories we would be stripped bare of all our essentials! Continue reading "Ballet Supplies - The Basics and the Essentials"
Ballet Dance Lesson - The Skills you HAVE to know! For any ballet dance lesson, you must be aware of the certain skills that are needed. Ballet has a demanding technique, but with focus and practice you can become an even better dancer. 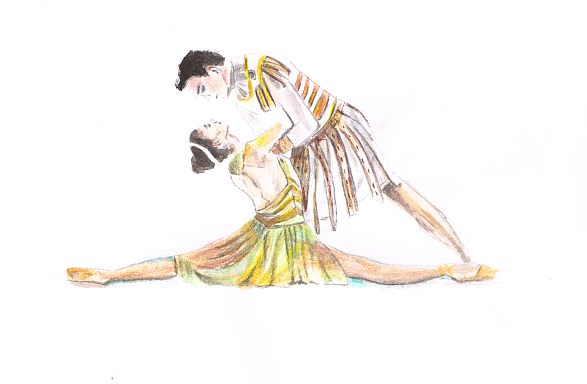 Continue reading "Ballet Dance Lesson - The Skills you HAVE to know!" Personal Development Plan - Your Dream Ballet Profession! This personal development plan gives you a step by step guide to what it takes to become a professional dancer. You can see the process and get an idea to whether you could pursue your dream career. 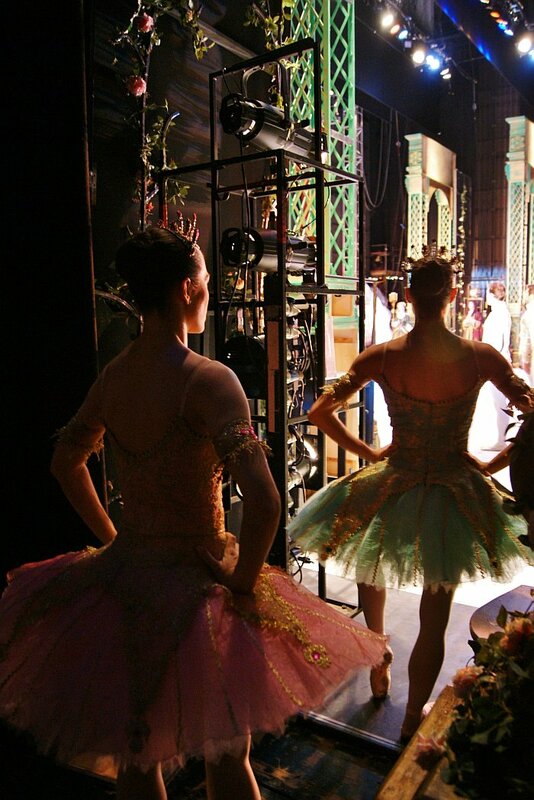 Continue reading "Personal Development Plan - Your Dream Ballet Profession!" Ballet stretching is absolutely necessary to every dancer and there can be many things to prevent you from getting more flexible. Find out WHY and HOW you can improve your stretches. 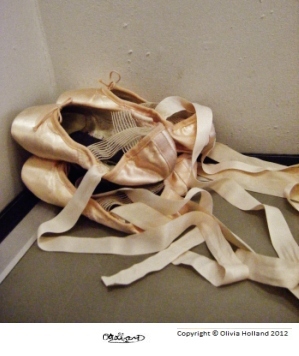 Continue reading "Ballet Stretching - How To Become More Flexible"
Cheap Pointe Shoes can be hard to find, because they are generally expensive. However, there is a way to find different prices if you know HOW and WHERE to look for your next pair of pointe shoes. Continue reading "Cheap Pointe Shoes - Cut the Costs"
Ballet exercises can shape your body and produce long, lean muscles. If you work the correct muscles, you could see your body lengthen and strengthen. Continue reading "Ballet Exercises - Shape Your Body Now"
Ballet Jumps - Leap Your Way to the Top! 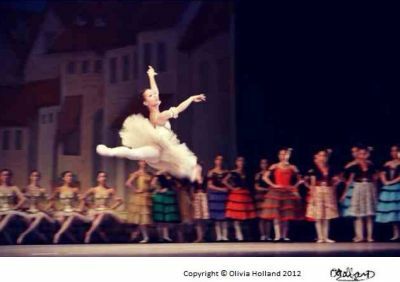 Ballet jumps are an exciting, thrilling and impressive part of ballet. Every dancer wishes to dazzle the eyes of the audience, so start now and improve your leaps. 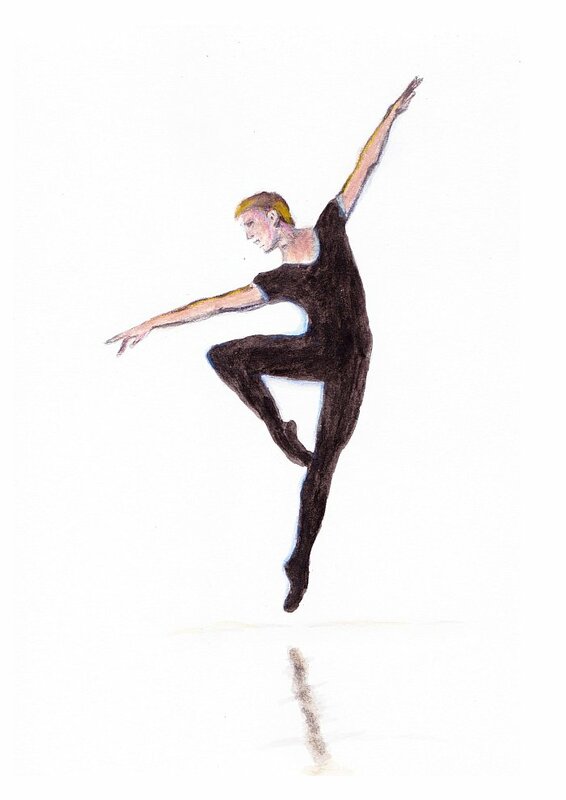 Continue reading "Ballet Jumps - Leap Your Way to the Top!" Continue reading "Career Development Plan - Ballet Dancers in India"
Continue reading "Career Development Plan - Private Lessons for Ballet Dancers"
Male ballet dancers are have power, charm and an incredible amount of strength. There are many leading names in the history of ballet that have soared to success and remained legends in dance. Continue reading "Male Ballet Dancers - The Famous Names"
Ballet positions are the very first step to mastering the basics of ballet. The most important five main positions will be carried with you throughout your dancing. 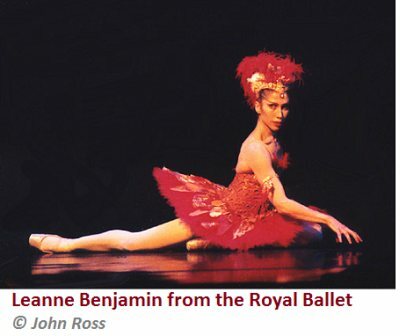 Continue reading "Ballet Positions - The Essential Basics of Ballet"
Here is a list of FIVE famous ballerinas who have reached the very top of the ballet profession. They are recognized throughout the world and have become international stars. Continue reading "Famous Ballerinas - The Five Worldwide Names"
Black Pointe Shoes are needed for many ballet performances. If you need to supply your own pointe shoes in a different colour, then discover the possibilities here! Continue reading "Black Pointe Shoes - Choose Your Colour"
Ballet Pointe Shoes is the moment every young ballerina hopes to reach. It takes practice, patience and persistence to dance effortlessly on pointe but it is possible! Continue reading "Ballet Pointe Shoes - All You'll Ever Need To Know"
New York City Ballet is a company any young dancer would be completely inspired by. It's high recognition and global success makes this company one worth knowing about. Continue reading "New York City Ballet - Leading American Company"
Continue reading "Ballet Photos - Behind the Scenes of Ballet"
Ballet dancers have a very demanding life, which the outside world do not always see. They have to commit to ballet as a way of life and dedicate each day to perfecting their performance. Continue reading "Ballet Dancers - Inside The World of Dance"
History of ballet has developed elegantly through the centuries. Since it very first began, it has expanded and formed traditions that are still present with us today. Continue reading "History of Ballet - From the Very Beginning"
Audition Tips for Dancers - Top Tips for Success! Need some audition tips to get you prepared? You've come to the right place. Listen carefully and you'll be the stand-out dancer at your audition. 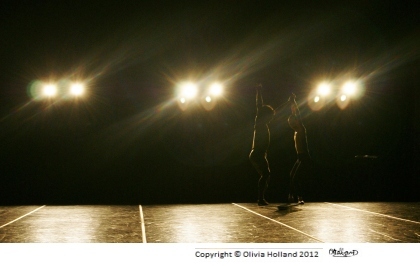 Continue reading "Audition Tips for Dancers - Top Tips for Success! " Ballet clothes are a key part of your wardrobe for every dancer. It is just as important to FEEL good in your clothes as LOOK good, so lets take a closer look at the essential supplies. Continue reading "Ballet Clothes - What To Wear As A Dancer"
Ballet Terms Q to Z - Simple, Easy and Clear! 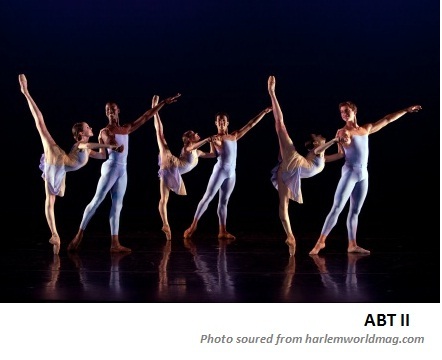 Here is an A to Z glossary of ballet terms Q to Z. It's all you'll ever need to know! 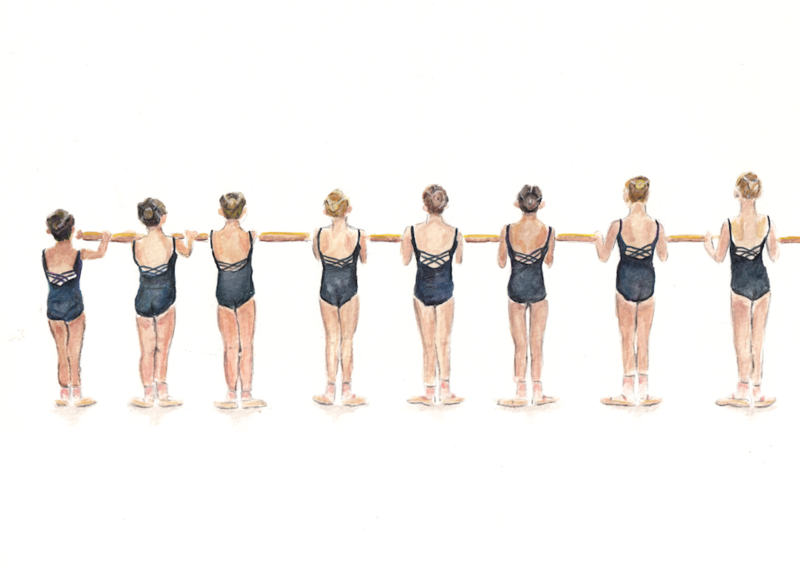 Continue reading "Ballet Terms Q to Z - Simple, Easy and Clear!" Ballet Dictionary - Simple, Easy and Clear! 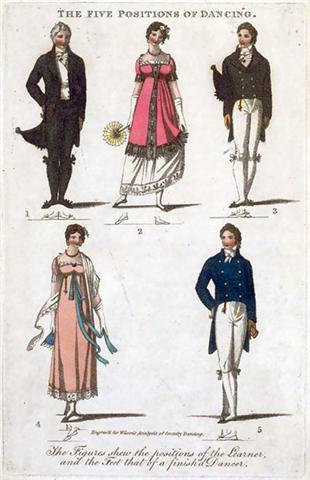 Here is an A to Z ballet dictionary. It's all you'll ever need to know! Continue reading "Ballet Dictionary - Simple, Easy and Clear!" Here is an A to Z glossary of ballet terms. If there is a certain word you need to figure out in ballet, then here you will find the ultimate dance dictionary. Continue reading "Ballet Terms - Simple, Easy and Clear"
Ballet Terminology - Simple, Easy and Clear! 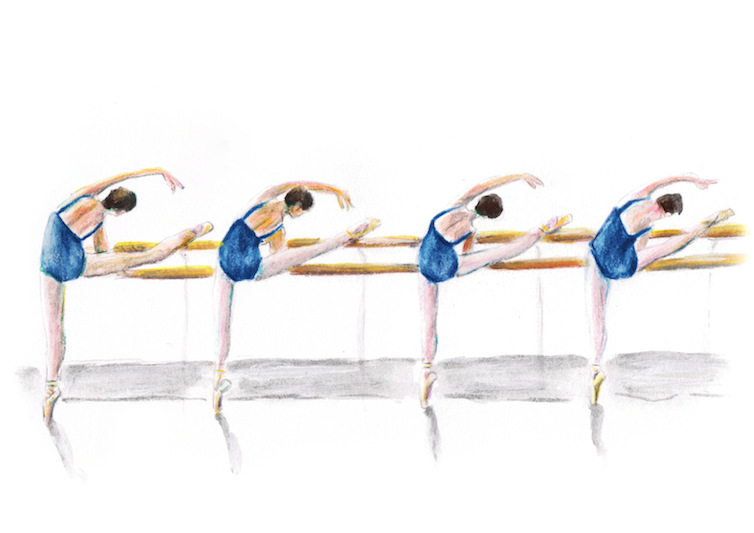 Ballet terminology is an important part for every dancer to learn. 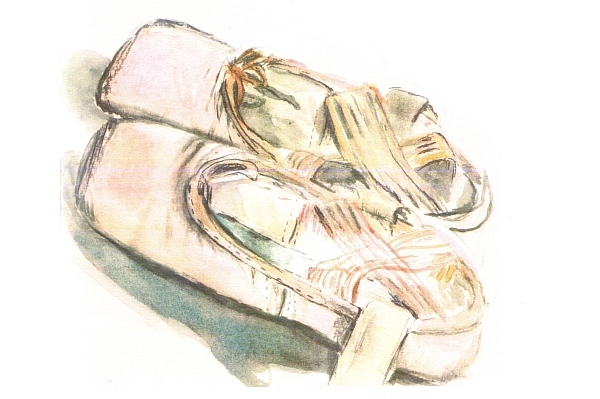 If you need some help then look here and you will find an A to Z glossary of ballet terms. 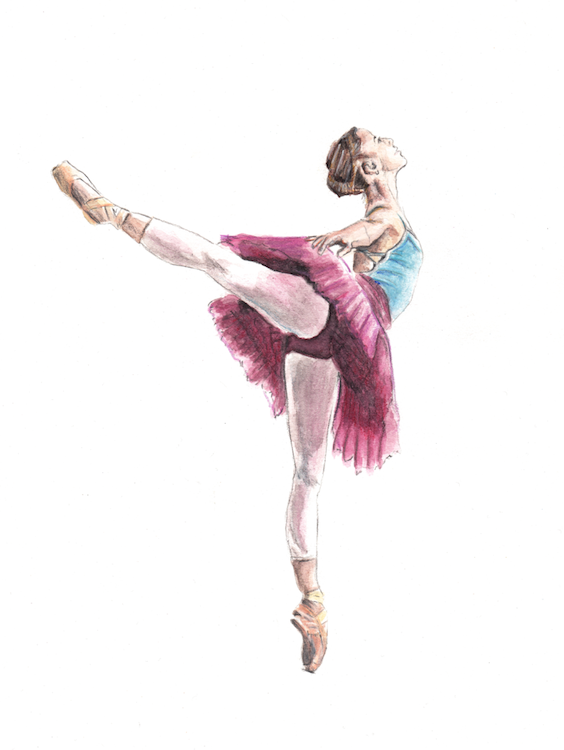 Continue reading "Ballet Terminology - Simple, Easy and Clear!" 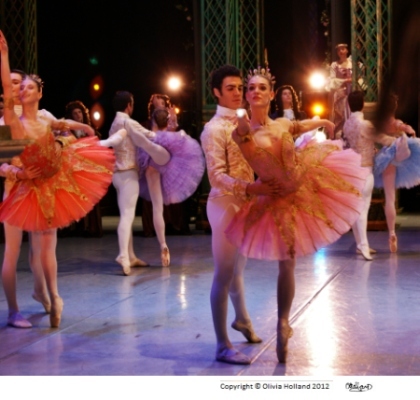 Ballet stories are brought to life by the dancers on stage in a performance at the theatre. Together with the music and costumes, the traditional tales bring magic to the stage. 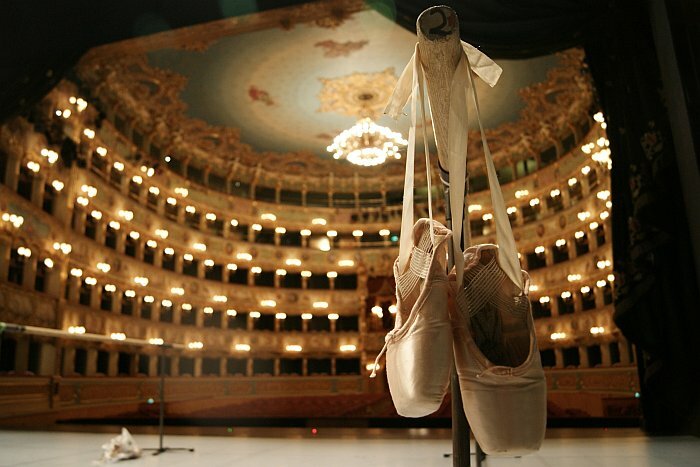 Continue reading "Ballet Stories - The Greatest Ballets"